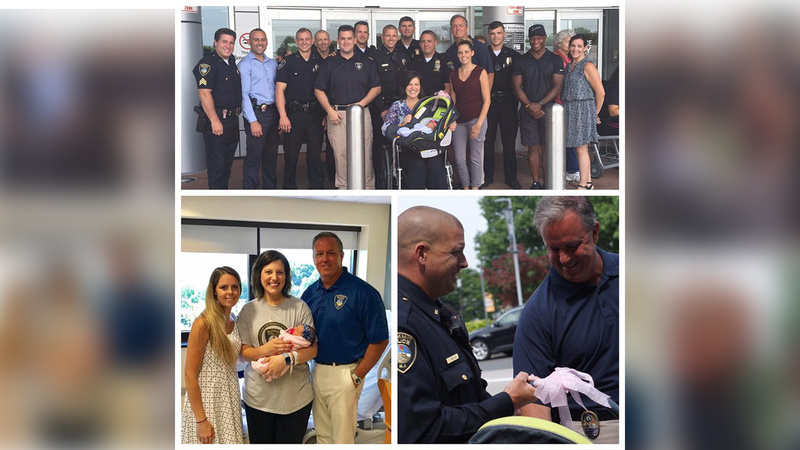 BERNARDS, New Jersey (WABC) -- The widow of Summit Police Detective Matthew Tarentino has given birth to a baby girl. Victoria Tarentino welcomed Anastasia Catherine at Overlook Medical Center. The Summit Police Department made the announced on its Facebook page. They say big brothers Robbie and Ray are eager for their little sister to start playing with them. Their father, 29-year-old Matthew Tarentino, was killed in a car crash on his way to work in June. State police say 68-year-old Archibald McGlashan, of Bethlehem, Pennsylvania, crossed the median Tuesday morning into eastbound lanes of Interstate 78 in Bernards Township. He was also killed, while a third man suffered non-life-threatening injuries.